This time the Quality Casino’s Testteam made a €50,-. deposit to judge this casino and hopefully created a helpful PlaySunny Casino Review! Join PlaySunny Casino by clicking on this banner! 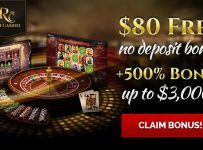 Making this PlaySunny Casino Review, we found out that PlaySunny Casino is offering the best bonus we have seen so far. 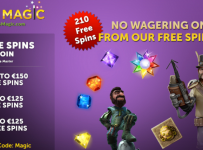 With a 100 percent welcome bonus up to 250 euro and another 25 FREE spins on the slot Starburst, they are giving their players a really pleasant welcome to their well-organized online casino. Also the fact that the bonus only has to be wagered 25 times, makes PlaySunny Casino extremely attractive to welcome new players. 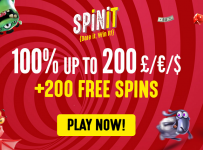 Note: When we tested the PlaySunny Casino website, we earned 32 euro with only the 25 FREE spins, not too bad! PlaySunny Casino offers a Live Casino possibility with a Netent content. Just like other big betting/casino sites they make use of the live Blackjack and Roulette games. Unfortunately, the casino doesn’t offer the Netent slots with the big jackpots like the Mega Fortune and the Arabian Nights. But for playing a reliable and honest game of Blackjack and Roulette, the PlaySunny Casino is excellent. PlaySunny Casino offers a perfect performing mobile casino. Almost every slot is available entering their mobile site. Another big advantage is the mobile application that is available for both Android and Ios. Just like their website, the mobile website and application are organized, clear and easy accessible. Slots, scratchcards, bingo games, poker, blackjack and roulette. PlaySunny Casino offers everything that a modern casino has to offer to their clients. Only thing that is a little bit disappointing, is the fact that we mentioned earlier this review, PlaySunny Casino doesn’t offer the big Jackpots slots. PlaySunny Casino is licensed on Curacao. Although a license on Malta or Gibraltar is most common for casino site, Curacao is a really proper alternative. The testeam absolutely got no doubt about the reliability of PlaySunny Casino, especially though the fact that PlaySunny Casino is owned by the founders of Bingo games. Lots of colours, palmtrees and the sun is always shining, PlaySunny Casino makes his name true. The site looks really cheerfull, and in spite of the sharp colours it’s not too busy. We got a really positive feeling while playing in the casino. PlaySunny Casino is very easy to go through and as we mentioned earlier, the site looks really organized. In a split second you can make a deposit or a withdrawal. Further it is really user-friendly that at the bottom of the site, there’s an overview of all the available slots and games. The payout of PlaySunny Casino is just normal. The testing team of Quality Casino’s was lucky enough to win a tidy amount of money, so we were able to request a withdrawal. In three business days the amount of money stood on our bankaccount. That is pretty descent for an average casino website. Just like Lanadas Casino PlaySunny Casino has one of the best customer services available. You can contact them by phone or by mail. They also have the possibility to start a live chat (limited hours). In our investigation we tried the mail as well as the live chat. Despite the fact almost all the employees are Dutch, the help in English we received was extremely good and helpful. They really do everything to give their clients the feeling they take them for serious and they try to solve every reasonable problem. Just perfect. PlaySunny Casino offers a really comprehensive loyalty program. Among every 10 euro you invest you get one point for your loyalty program. Every time you reach a new sub level, you receive extra points again. With the points you earned it is possible to by attractieve bonuses which you only have to playthrough 5 times (almost free money!!). Besides this well-developed loyalty program, you will receive mails with bonus offers on a frequently base.